Imagine SF with 1 million fewer visitors. For some this may be a good thing for the atmosphere of our city streets this summer. But for many others who depend on tourism’s dollars in SF a drop of a million brings angst and hardship. That’s the projected shortfall in tourists (as calculated by hotel consultant Rick Swig) from now until 2018 when the newly renovated Moscone Center reopens its hospitality cornucopia. 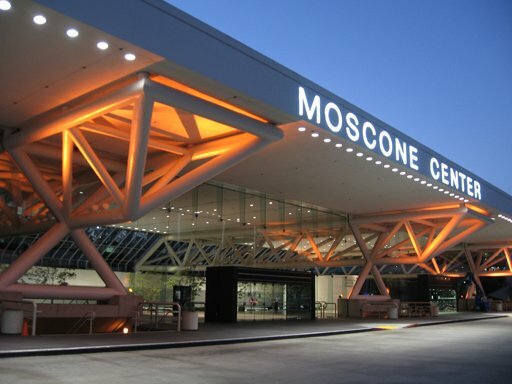 Moscone Center’s makeover and expansion has been in the works for awhile, and is now really underway at a budget of $500 million. The project will increase the convention hospitality and entertainment space by 25%, from 614,839 square feet to 772,179 square feet. It’s planned to bring in more visitors to the city in years 2019 and beyond to expand hotel bookings and fill seats in restaurants while dollars flow into local businesses and for the tax treasury of the city. In the meantime, businesses are psyching up for the shortfall as the renovation work goes on. Moscone West will remain open while Moscone North and South will close for the construction timetable.